Today marks something of a landmark for the Institute of Trade Mark Attorneys. It is 82 years to the day since the organisation was created, but this year’s anniversary is more than just a milestone, it’s the beginning of a new era for Intellectual Property professionals working throughout the UK. Established in 1934, the Institute of Trade Mark Attorneys is responsible for acting as the voice of the trade mark industry. It was launched to provide support and representation to members, as well as helping to promote best practice across the profession. Earlier this year, following a meeting of the Privy Council, the Queen granted the institute a royal charter, in recognition of the work undertaken by the institute for its role in representing the specialist work of Trade Mark Attorneys within the UK. What does the Royal Charter mean for practising Trade Mark Attorneys currently working in the UK? The most important job of a Trade Mark Attorney is to help both individuals and businesses to protect their trade marks by filing applications, dealing with examinations and ensuring a registered marks are renewed. As a chartered institute, the CITMA will continue to regulate the trademark attorney industry according to bylaws set out in the charter as well as providing representation to members, should a case be brought against them. Chartered Trade Mark Attorney must participate in a programme of continuous professional development, to help ensure the high professional standards synonymous with the institute are upheld, the designation of a Chartered Status reflects the individual attorney’s commitment towards upholding the highest possible levels of professional standards. 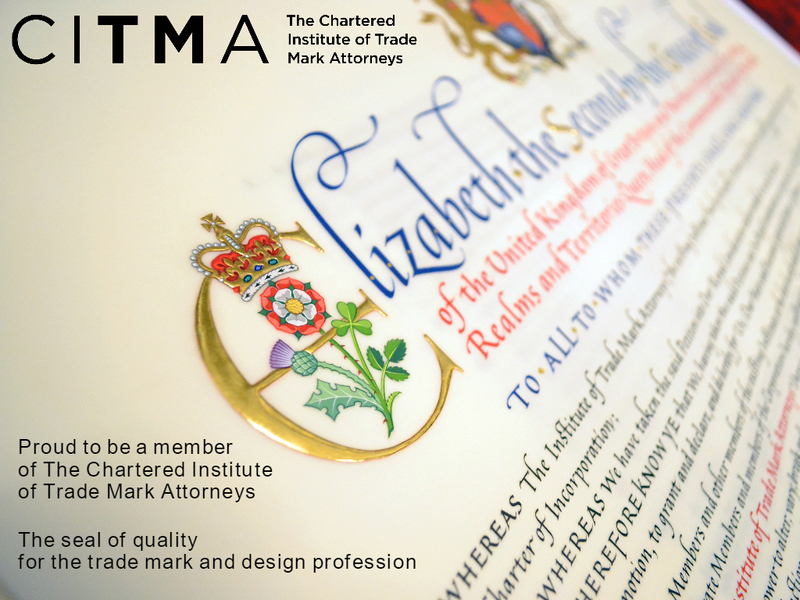 The Chartered status also means members of the institute, who fulfil the criteria can call themselves a Chartered Trade Mark Attorney, illustrating their own commitment to the profession. To patent, or not to patent? Britain has a long tradition of innovation but it’s perhaps worth remembering that not every invention is likely to result in commercial success. The national archives are filled with ideas from would-be-entrepreneurs that never quite made it into production. Moustache protectors, inflatable corsets and even spectacles for chickens may sound curiously comical, but they do offer some valuable lessons for entrepreneurs who are thinking of patenting a new invention. As an intellectual property specialist, one of the most commonly asked questions I receive from business owners relates to the different ways in which they can prevent others from copying their ideas. For some, filing a patent application is an important step in securing investment to commercialise research and development – offering opportunities to diversify and expand. For others, it provides an opportunity to distinguish themselves from competitors, introducing new manufacturing processes or techniques which can offer significant commercial advantage. In many cases, patents can relate to different aspects of an invention, so you can patent a process or method as well as a product. There are also financial incentives available. The Government’s Patent Box scheme allows entrepreneurs to claim Corporation Tax relief on the profits of patented technology. However, in cases where an invention is unlikely to enter into production, the benefits of filing a patent application can be questionable. It’s perhaps worth remembering that filing a patent application is a decision that should not be taken lightly. Patents should certainly be considered before an invention has been disclosed in the public domain and it’s also worth giving thought to the geographical areas applicable to your business. Although, obtaining patents throughout the world may at face-value appear to be an attractive option, the likely costs of filing and renewing the patent over twenty years could run into tens of thousands of pounds. Therefore, consulting a patent attorney at the earliest possible stage will help you to make the right choices for your business. In 2011, Michigan inventor Cheong Choon Ng developed a new device which would elevate the humble rubber band from being a simple stationery cupboard essential into a rainbow-coloured global phenomenon. Today, loom bands, are at the centre of a multi-million pound industry. They have inspired adults and children alike to invest hour upon hour carefully fastening and weaving the bands together, transforming them into a variety of different objects ranging from toys and charms to bracelets, and in more extreme cases, even clothing. The idea behind loom bands is a fiendishly simple one. A special tool and board are used to weave different rubber bands together. The bands are joined using a special type of knot known as a brunnian link or fastened using a patented clip. Significantly since his first patent applications, Choon’s Designs – the company founded by Cheong Choon Ng – has filed multiple patent applications internationally, aiming to prevent others from not only copying the way in which loom band creations are made, but also how they interlink. In some countries such as the US, some of the patents filed by Choon’s Designs have already been granted. Once a patent has been granted, its owner has the legal right to pursue damages from business rivals trying to cash in on the idea – and that’s exactly what Choon’s designs did – filing claims against a number of large toy manufacturing companies in a bid to prevent them from cashing in on his invention, as well as pursuing damages. There are a number of claim and counters claims currently being fought in the US courts between Choon’s Designs and several toy manufacturing companies. However, the popularity of loom bands is not simply a trend that’s been restricted to American children, but one that’s proved to be popular across the world. To protect his protect his business, similar patent applications to the ones granted in America have been filed in a number of different countries including Hong Kong. Australia and Europe. It’s worth remembering that different rules can apply in different countries when it comes to determining whether a patent is granted. Simply because a patent has been granted in one country doesn’t necessarily mean the same right will be granted elsewhere. In Choon’s case, some of the patents granted in the US were rejected in Australia. This is not unusual and the decision in Australia is currently being appealed. It does illustrate how sometimes it is possible for an invention to gain legal protection in one country, but cannot be protected in another – often the result of lengthy and costly legal battles where claims and counter-claims are brought into question. It’s likely to take some time before the first rulings are made in the US Loom Band lawsuits, but the disputes between Choon’s designs and its competitors are not dissimilar to the legal issues which have been at the heart of the multi million pound patent wars around mobile phones and tablets. These patent wars are a series of high profile legal cases which have seen some of the world’s largest technology companies, including Samsung, Apple, Microsoft and Sony, meet in courtrooms across the world to dispute the rights in smart phone technology. The claims and counter claims have resulted in some devices being banned and large compensation being awarded and disputed. The cases have been fought across the world since 2009 and show little sign of ending any time soon. We may already be starting to see a similar situation arising around loom bands. However, perhaps it’s worth remembering that in the mobile patent wars, once a mobile device has been effectively banned by the courts, it has usually been superseded by a newer model which is not necessarily covered by the same ruling. Whatever the outcome of the loom band litigation, the case goes some way of highlighting the importance to entrepreneurs and business owners of making the right provisions when it comes to protecting a new invention. A patent is the only legal right that can allows an invention to be protected from copying. When products are successful, it’s highly likely that they will attract the attention of copycats – eager to place short term gain ahead of long-term consequences. Time will tell whether or not loom bands are here to stay, or simply a short term playground craze, but obtaining the right form of intellectual property protection means that when others decide that they may want to try to steal your ideas, you have a legal right in place that will deter others from trying to cash in on your hard work. What happens when a Patent expires? Patents are one of the most common ways in which businesses can protect their investments in research and development. They provide legal ownership of an invention, deter others from stealing or copying your ideas, by enabling legal action to be taken against those attempting to cash in on your concepts. Once granted, a patent can be renewed annually for up to twenty years from its date of filing. When a patent reaches its twentieth anniversary it expires and the holder can no longer claim exclusivity on its usage. It is worth remembering that even in cases when a patent does reach the end of its lifespan, it does not necessarily mean that a business rival can immediately enter the market and start cashing in your latest business ideas. It is important to remember that few products and inventions remain fixed. Over time and in response to changing manufacturing techniques, consumer demands and market forces it is highly likely that even relatively simple inventions will naturally evolve. Consider, for example, mobile phones used today, compared with those in common use during the 1990s. All patents which were granted on mobile phone technology prior to 1995 have now expired and although it would theoretically be possible to reproduce the phones in common use during the early 1990s without fear of breaching a patent, the ways in which the technology has evolved means that it is highly questionable whether a business could successfully cash in on the lapsed patents available in the public domain, compared with the latest smartphone. The ongoing legal disputes between some of the world’s largest mobile phone manufacturers in court rooms around the world, go some way towards illustrating the importance not only of securing intellectual property on a design, but also continuing to protect investments made in research and development. This is particularly important when it comes to filing new patent applications, as each new ‘inventive step’ can be patented in its own right, allowing many different aspects of an invention to be protected. Securing multiple patents can also mean that even if an earlier patent expires, the latest developments added to the product will continue to be safeguarded from being plagiarised. At present, there are can also be financial incentives to encourage businesses to protect their intellectual property. The Government’s Patent Box scheme, launched in 2013 enables businesses to benefit from reduced Corporation Tax liabilities on patented inventions. However the rules governing the Patent Box are changing and it is worth noting the scheme is expected to close to new entrants in June 2016. When should I consider registering a patent? Launching a new product can be one of the most exciting steps that any business can take. It can mark the culmination of months or even years of meticulous planning and preparation. So imagine discovering a rival offering an almost identical product just a few weeks after your launch. You suspect that your designs have been copied. It is a scenario that every business dreads. Registering a patent can help to protect one of your greatest assets: your intellectual property. Applying for a patent not only helps to deter would-be rivals from copying your idea, but perhaps more importantly, it gives you protection and rights under the law. When a patent is applied for, patent attorneys draw up a specification for the product, allowing it to be filed with the patent office. They will also undertake a series of searches for similar designs, helping to establish whether a patent can be applied for and also identify whether any similar designs currently exist in the market. In the UK, all patents are registered with the patent office, meaning that if a rival has copied your design then it can be extremely difficult to defend their actions in the courts. If the design is found to be unique then a patent will be granted. This effectively prevents any other business from copying your design. Some organisations choose to file patents at every level of development, often regardless of whether or not the company is planning to further develop the technology. This is often done to try and make it difficult for a rival to produce a similar product without first negotiating use over the design. In some cases it can also be possible to enter into arrangements to licence your product, potentially developing new avenues of generating revenue. In some business sectors, this is quite a common practice, as one technology may be dependent on another. It can therefore offer a chance to generate additional revenue from the research and development work undertaken by your business. It is worth remembering that if your design is successful then it is likely to attract rivals, so start considering ways to protect your ideas from the earliest possible time – helping to save you both time and avoiding what can often be lengthy and expensive court room battles. Some say imitation is the best form of flattery, but there’s nothing flattering about a business rival copying ideas which have taken your company time, research and money to develop. Filing a patent application is one of the most effective ways of protecting inventions. A successfully granted patent is not only likely to deter others from copying your business ideas, but it also provides your business with legal ownership rights. Based in Sheffield, Howard Lock Intellectual Property provides friendly, professional advice which is always tailored towards your individual needs. In other words, we treat the people we help in a way that we would. For over 25 years, founder of the company Howard Lock has been helping businesses to make the right decisions when it comes to protecting intellectual property. As a qualified Chartered Patent Attorney, European Patent Attorney and Trade Mark Attorney you can be assured of receiving the best possible advice when it comes to protecting your business ideas. We will guide you through the whole process of applying for a patent. From the outset we will take time to examine the design and we will make recommendations on how to obtain the best possible protection for your ideas, as well as conducting searches on your behalf to ensure similar designs have not previously been granted. Using our many years of professional expertise, we will draft and file the patent application on your behalf, keeping you fully informed as the application progresses. For businesses holding multiple patents, we also offer a complete portfolio management service. It’s worth remembering that different patent laws can apply in different countries and using his extensive experience and understanding of UK, European and International patent laws, and Howard Lock Intellectual Property will help to secure the right forms of protection for your business, no matter where in the world you trade. Our client base ranges from established manufacturing and engineering companies to family-run ventures and start-ups and from our Sheffield-based headquarters we work with many different types of businesses throughout the UK. A granted patent will not only provide your business with legal protection for an invention, but there can also be tax benefits associated with Patent ownership. Under the Government’s Patent Box scheme, tax liabilities can be reduced on any profits generated from patented technology. Protecting ideas and inventions through patents has always provided important legal rights to businesses but the Patent Box Scheme, which came into effect earlier this year, now means that companies can also benefit from a number of tax incentives. Announced in the 2012 Budget as one of the Government’s key measures for businesses, the Patent Box was developed to encourage companies to invest in and successfully commercialise research and development. The scheme came into effect in April and allows businesses to reduce their Corporation Tax liabilities on profits generated through patented inventions. To qualify for the scheme a company must own, a granted patent, and must have made a significant contribution to the development of the invention.Companies can also qualify for the scheme if they hold an exclusive license to sell a patented product or invention. Some industry experts predict that the provisions made through the Patent Box will result in a surge of patent applications as companies look towards making savings on their tax burdens. However, as a patent cannot be included in the scheme . Since it can take several years for a patent application to mature into a granted patent, it might be worth checking patents already owned by your business; it is possible they might cover products you are selling that you presently believe are not protected by a patent. Patent Attorneys can review the patent portfolio owned by your business and advise whether a product is eligible for the Patent Box scheme through your existing patents as well as advising whether new patent applications are required. It is not uncommon for businesses to file multiple patent applications relating to similar ideas or inventions. In this way different aspects of a product or process as can be protected as the invention continues to develop, making it more difficult for the idea to be copied by rivals. This can mean that, even in cases where a patent application has been filed and awaiting examination, the product may already be protected under previously granted patents, allowing your business to benefit from the Patent Box provisions. Although the tax incentives offered through the Patent Box scheme may be attractive, it is essential that the most appropriate forms of protection are put in place. Working with a patent attorney can help to ensure that your products, processes, services and brands receive the right form of protection both in the UK and international markets. Please note that the content of this article is provided for general information purposes and does not constitute legal advice and we always recommend consulting a qualified patent attorney to discuss specific intellectual property matters. An entrepreneur with a passion for new ideas has called upon the help of a Sheffield-based patent attorney to protect his revolutionary new burial system, which could help to alleviate the growing land shortage faced in many of Britain’s graveyards. Brian Fisher, a self-confessed ‘coffin boffin’, has pioneered a new environmentally friendly burial system capable of accommodating six or more burials in a single plot, whilst eliminating the threat of collapse when neighbouring graves are interred. He approached Howard Lock Intellectual Property for advice on protecting his idea, and after successfully being granted a patent, Brian’s innovative burial system will soon be launched. Could EU patent plans benefit British businesses? Few patent cases have caught the headlines as much as the fiercely contested patent-wars: a series of on-going legal battles currently being fought in courtrooms around the world by global technology companies. The impact of such cases could soon be significantly reduced on businesses trading in Europe, following plans to launch an EU-wide patent: a universal patent which would be applicable to all member states. The stakes in the patent wars are high. Apple, Google, Samsung and many others are pursuing multi million pound claims and counter-claims against each other. Indeed, it may seem almost like a 21st century equivalent of Jarndyce v Jarndyce, but perhaps the cases go some way to understanding the importance of protecting a company’s intellectual property.